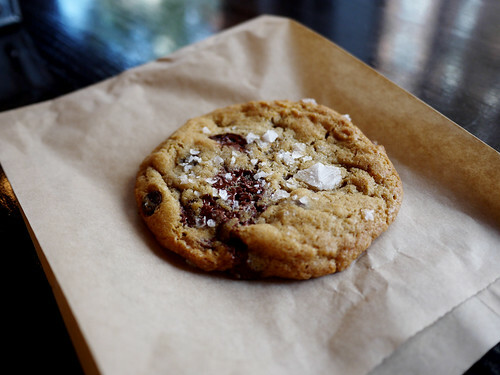 In brief: Great taste and texture, a little heavy on the salt and chocolate chips (as you can see from the photo). Whoah! That is a big chunk of salt! Foragers actually sells the best yogurt on the face of the earth-white moustache. Its pricey but a container is about two servings and i haven't had yogurt that amazing outside of europe.